The Hosepipe Band is an established East Anglian band which plays for public and private ceilidhs – aka barn dances. The band played for their first dance in May 1993. Since then they have played six hundred or so times for public dances and for private celebrations – around the UK but also one or two in France and Italy. 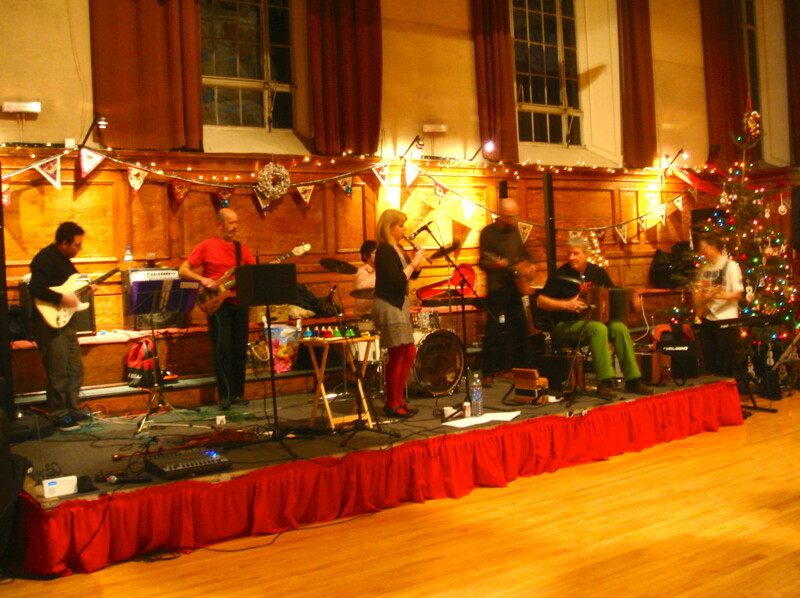 For a period of six years the band played for the New Year’s Eve ceilidh at the home of English folk music and dance: Cecil Sharp House in London. Their dance repertoire combines traditional music from the British Isles and other European countries with their own compositions. They have made five recordings of their music. In addition to playing for dances, The Hosepipe Band also play concert spots and for theatrical productions. Their current involvement with the North Essex poet Martin Newell takes the band in a new direction. Band members have composed original music to accompany Martin’s long poems, The Song of the Waterlily, Black Shuck and The Green Children. They will be performing these with Martin at a number of events in the coming months. Find out more about the band on their website.